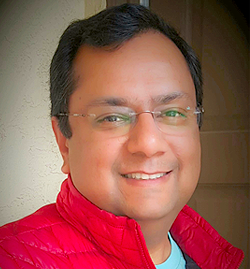 Sirqul Appoints Manish Jain as Chief Product Officer to Accelerate IoT and AI Platform — Sirqul, Inc.
SEATTLE, April 4, 2019 — Sirqul, Inc., a lead­ing Intel­li­gence of Things (IoT) plat­form, today announced that Man­ish Jain has joined the com­pa­ny as Chief Pro­duct Offi­cer (CPO). Cov­er­ing Pro­duct Devel­op­ment and Engi­neer­ing, Manish’s addi­tion will help the com­pa­ny fur­ther strength­en its pro­duct offer­ings across sev­er­al IoT ver­ti­cals that include Retail, Enter­tain­ment, Indus­tri­al, Build­ing Man­age­ment, and Man­u­fac­tur­ing. In addi­tion, Man­ish will dri­ve the enhance­ment of Sirqul’s tech­ni­cal core capa­bil­i­ties such as in-mem­o­ry pro­cess­ing, real-time data visu­al­iza­tion, pre­dic­tion, and the use of Arti­fi­cial Intel­li­gence and dis­trib­ut­ed ledgers. Jain brings a unique com­bi­na­tion of strong tech­ni­cal skills and expe­ri­ence in launch­ing prod­ucts at glob­al scale. For over two decades, he has focused on ear­ly adopter tech­nolo­gies includ­ing blockchain, IoT, appli­ca­tion servers, mid­dle­ware, and high-per­for­mance-data­base-com­put­ing. He has pre­vi­ous­ly held roles as the Glob­al Pro­duct Man­age­ment & Solu­tions lead­er for GE’s Edge-to-Cloud IIoT and Oracle’s Fusion Mid­dle­ware plat­forms. Most recent­ly he worked on devel­op­ing new busi­ness mod­els based on Ethereum blockchain at Con­sen­sys. Hav­ing lived in the US, Asia, and Europe, Jain has worked exten­sive­ly with Glob­al 2000 cus­tomers and part­ners dri­ving inno­v­a­tive and dis­rup­tive solu­tions. Jain has two teenage boys and enjoys spend­ing time with his fam­i­ly and friends. He has a pas­sion for his­to­ry and has trav­eled to his­tor­i­cal sites in Egypt, Chi­na, Cam­bo­dia, Viet­nam, India and the UK. Trav­el­ing to over 50 coun­tries for busi­ness and leisure, he has explored and expe­ri­enced many cul­tures. He enjoys play­ing squash and is now work­ing to improve his golf game. Sirqul™ (http://www.sirqul.com) pro­vides an Engage­ment-as-a-Ser­vice (EaaS) IoT Plat­form to dri­ve oper­a­tional effi­cien­cy, rapid inno­va­tion, and cre­ate new rev­enue streams. Head­quar­tered in Seat­tle, WA, Sirqul is led by Robert Fred­er­ick, the orig­i­nal tech­ni­cal founder of Amazon’s first for­ays into Secure Mobile Com­merce (Ama­zon Any­where) and Ama­zon Web Ser­vices (AWS). At the foun­da­tion of Sirqul’s plat­form are over 400 ser­vice end­points and mul­ti­ple starter kit tem­plates for rapid­ly cre­at­ing IoT solu­tions with a build­ing block approach. From the small­est devel­op­ment teams to the For­tune 100, inno­v­a­tive orga­ni­za­tions use Sirqul to reduce the time from AI, ML, and IoT inspi­ra­tion to real­i­ty.